Intensive impact suppresses spin and extends carry distance with strong, high trajectory characteristics. Entirely new acceleration performance maintains a harmony between the precision of steel shafts and the intensive whip of graphite shafts. 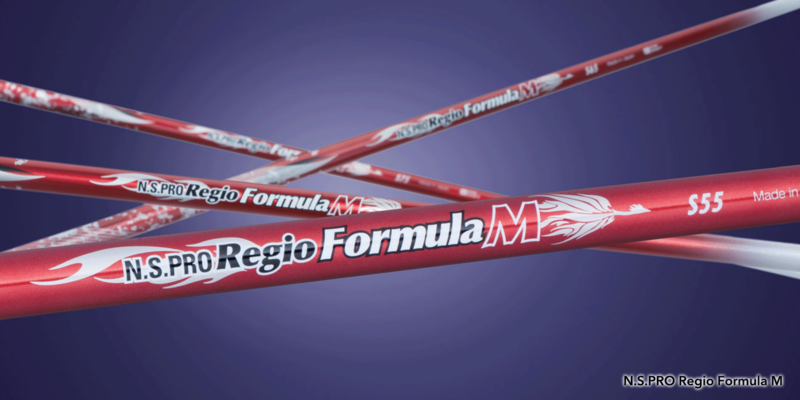 Through cutting-edge technology, Regio Formula M adds to the Regio series, which constantly renews the record of carry distance. Intensive impact suppresses spin and extends carry distance with strong, high trajectory characteristics. Entirely new acceleration performance maintains a harmony between the precision of steel shafts and the intensive whip of graphite shafts. 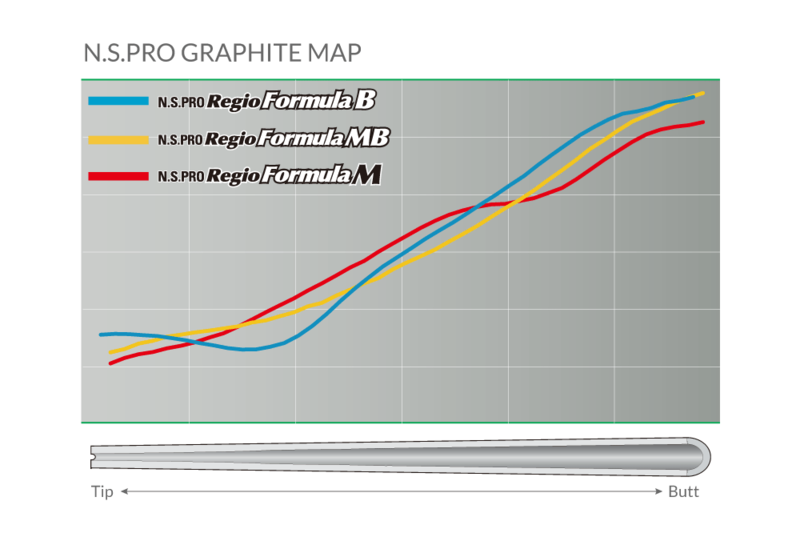 Through cutting-edge technology, Regio Formula M adds to the Regio series, which constantly renews the record of carry distance. Thanks to our new materials and design philosophy, CSR and CNT are blended and applied to the tip section to prevent a lack of control and create solid impact. An ultra-high-elastic 80t sheet covers the entire shaft and combines. Accelerated carry is available to those who seek distance with wrist turn, or those who tend to create unwanted spin, with an additional layer around the mid-section to produce a feeling of powerful impactand deliver high initial speed and powerful trajectory. 7-axis prepreg material in the grip section effectively suppresses the occurrence of shaft deformation and timing gaps. 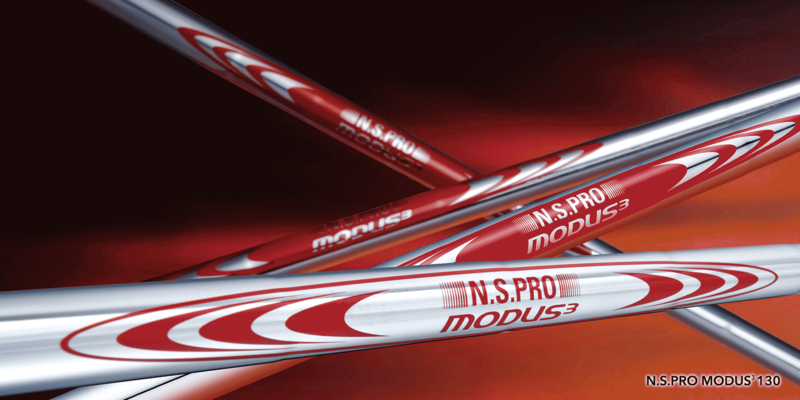 Intensive impact through the high-integrity shaft realizes a whole new world of carry distance.